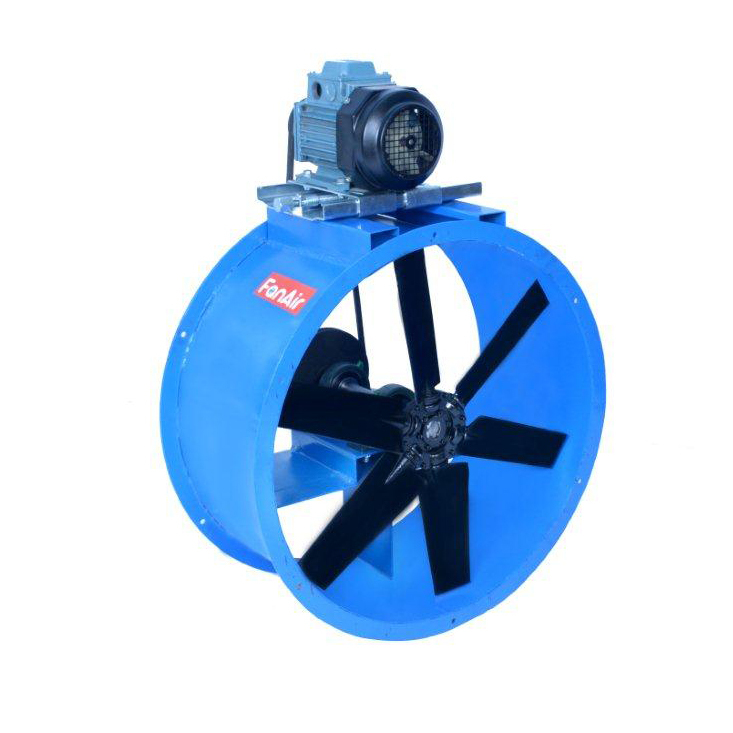 Axial Flow fan is a type of a compressor that increases the pressure of the air flowing through it. 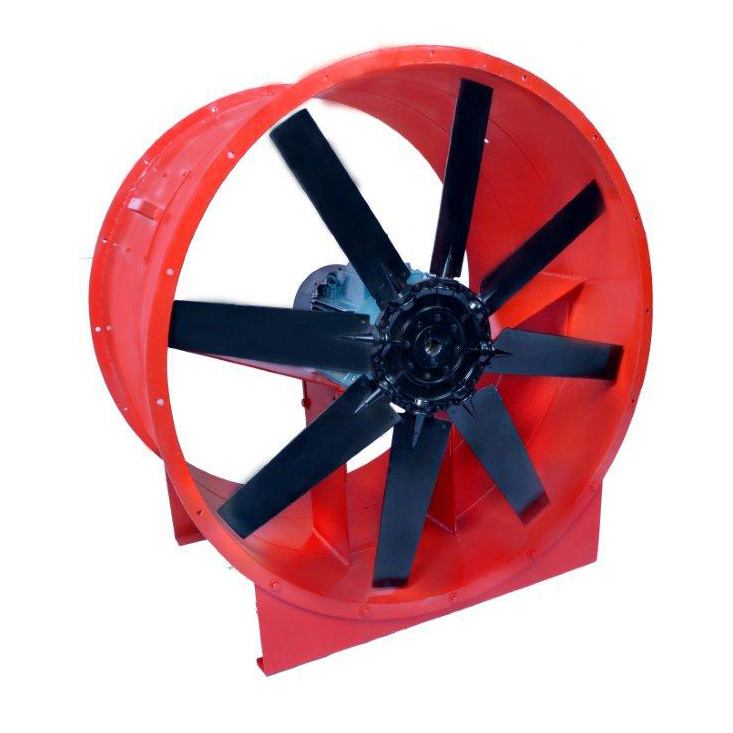 The blades of the axial flow fans force air to move parallel to the shaft about which the blades rotate. In other words, the flow is axially in and axially out, linearly. 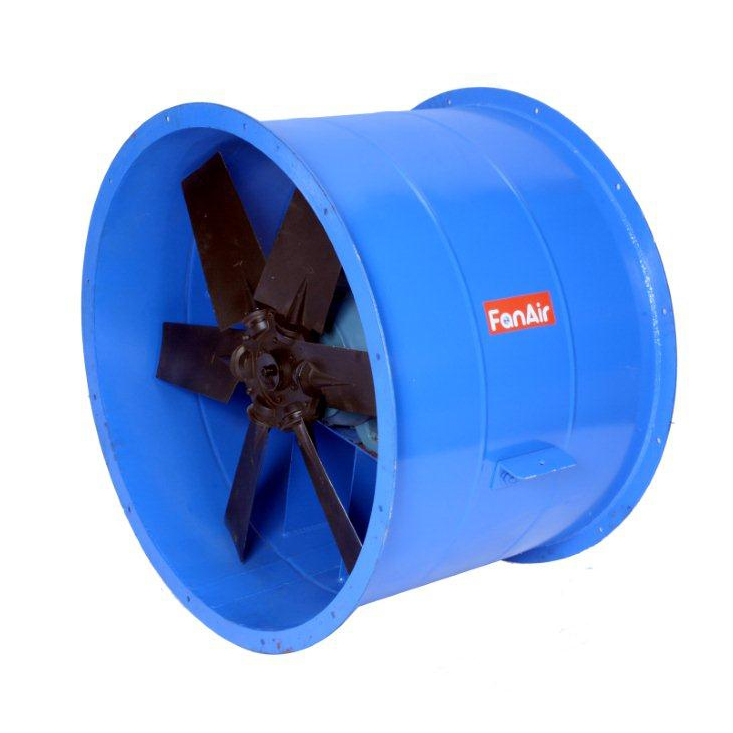 These Fans either have short Casing or Long casing depending on customer requirements. Also axial fans can also be classified as below.